Steam is a powerful cleaning agent because of its ability to break the strong bonds that glue dirt and grime to surfaces. This prompted many cleaning appliance manufacturers to incorporate the use of steam into the cleaning appliances that they produce. This resulted to a plethora of cleaning appliances that makes use of steam as a cleaning agent. This large number of steam cleaners makes it hard to determine which steam cleaners are the best. Well, this article will help with this problem by providing a list of the best steam mops that are available today. Read on and find out. 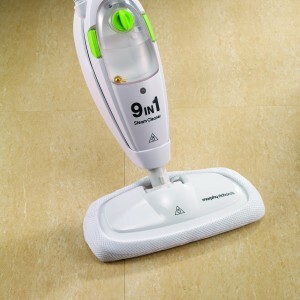 The H2O Mop X5 is priced at a relatively mid-ranged price of £99.99. This steam cleaner is lightweight, easily maneuverable around the house, and is generally very easy to use. It heats up quite quickly with a clocked time of less than 20 seconds before the indicator light lights up. It has a small head to clean up tight spaces although this may be a problem in large areas. 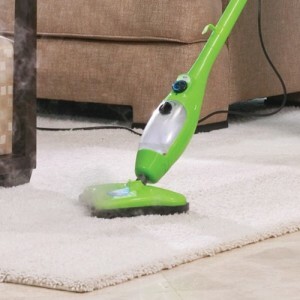 The steam cleaner makes use of a cleaning cloth and a squeegee which effectively prevents any streaks on the floor. This product is considered to be one of the best mop today because of its low price relative to its features. 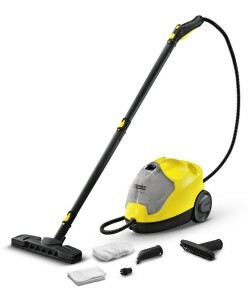 The Karcher SC2.500C uses a different style of body compared to other steam cleaners. Unlike the usual steam cleaners, this product separates the water tank from the handle of the mop head. While this increases the area that the cleaner occupies, it also effectively increases the amount of water that the product can hold. The SC2.500C uses a powerful stream of steam with variable outputs to maximize the efficiency of the steam cleaner on different surfaces. This product takes approximately six minutes to heat up. This is a relatively long time but the tradeoff is that the water tank can be refilled even when the cleaner is being used. To make up for its body, the cleaner has wheels and a carry handle for easy transport while in use. Finally, the cleaning cloth is easy to attach and is effective in removing dirt. The SC2.500C’s unique innovation into design has earned them their place in this list of best cleaners today. The Morphy Richards 9-in-1 Steam Mop is considered by many to be one of the best steam mop today because of its portability, price, and effectiveness. Testing this proud revealed that it is great for use on hard surfaces. It glides nicely on carpets and has strong surface contact for maximum dirt removal. It has a heat up time of approximately 30 seconds although there are no indicator lights that show that the cleaner is ready for use. It comes with a microfiber cloth, a squeegee attachment, jet nozzle, and various other attachments for different types of surfaces. The only downside to this product is that it has no extension hose which makes it hard to clean tight areas. Nevertheless, this product is effective in removing dirt without much effort on the user’s part. This makes it one of the best cleaning tool in the market today. Here’s the quicker way to clean house.